Archives for "UK Head Office" category. Andrea Pitts, who is one of our pivotal team members at Leeming Wells, is now called Andrea Riley after getting married at the weekend. Pictured below to the left of Jodie is our Andrea. 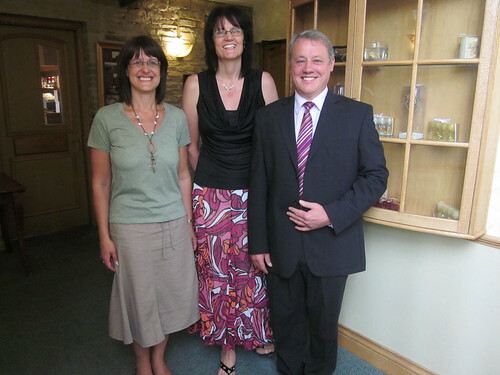 Andrea has been with us since 2004 and is the main contact point for our Owners and Guests in the UK. 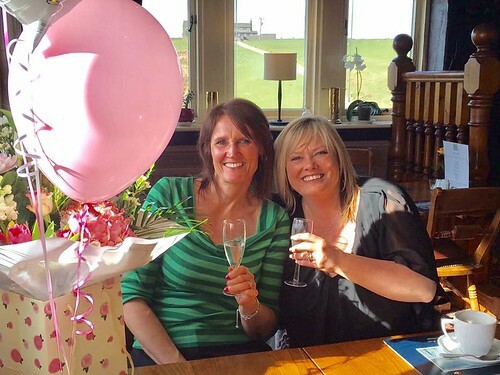 We wish Andrea and new hubby Andy all the very best for the future and we would like to take this opportunity to thank Andrea for her relentless work which is often above and beyond the call of duty. Ta chuck! 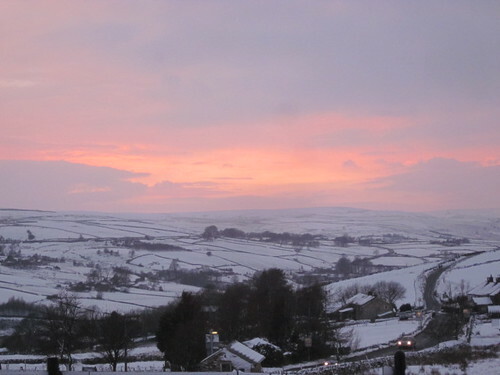 Our Boutique Hotel in the Yorkshire Hills was under snow again this week. Much as I dislike snow, it does make for a pretty picture! 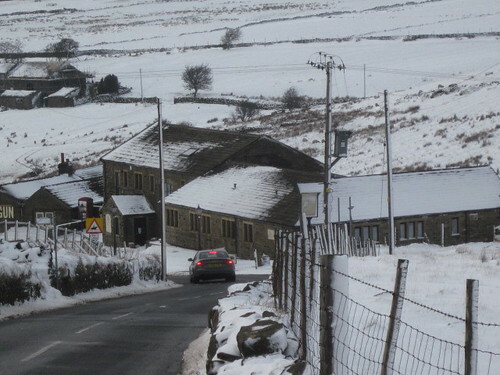 Pictured above is the Leeming Wells Hotel at Oxenhope in the Haworth area of Yorkshire. Our hotel is quite busy as you can imagine but it is a delightful place to stay. It is located in Bronte country (the home of the famous Bronte sisters) and has spectacular views of the surrounding countryside. 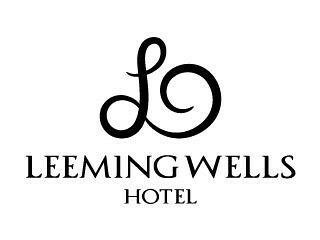 The Leeming Wells Hotel is also the headquarters of our UK base for the Olympus Group of companies. 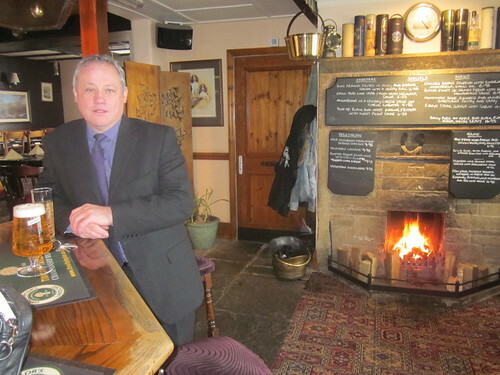 Next door to Leeming Wells is the famous Dog and Gun Pub. 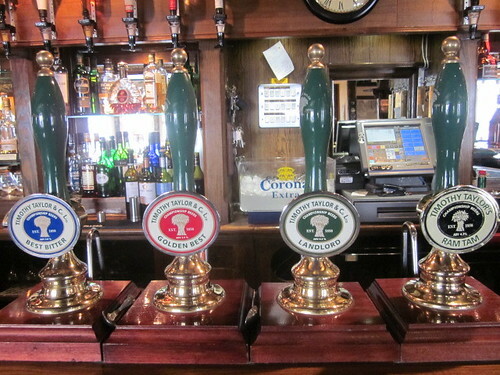 The pub serves some of the finest food in the area and always provides a warm welcome! Pictured above is Tony Rhodes of Club Olympus. It certainly is better to be in the pub rather than outside on days like this. 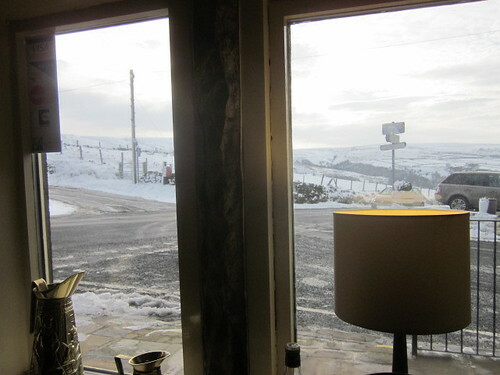 Without a doubt I would rather be looking out of the pub window at the snow than outside looking in! The combination of Leeming Wells and the Dog and Gun make for a terrific few days away in the Yorkshire Dales. If you fancy learning more, simply ring our Bradford office and speak to Andrea or Amanda on (0044) 01535 640050. 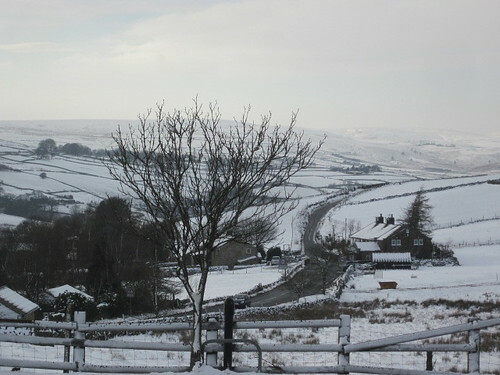 The hotel is within easy driving distance of Leeds, Bradford, Skipton, Harrogate and Ilkley. While the weather outside might be inclement, inside it is a different matter. 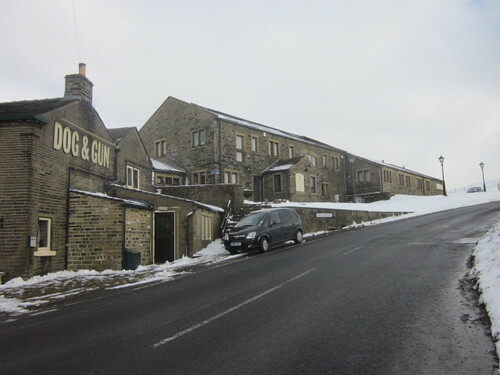 In the Dog and Gun you can sit in front of a roaring log fire and enjoy the local, Keighley brewed, 'Timothy Taylor' Ales. As many of you know, Club Olympus are involved with sponsorship at Leeds United Football club. We currently sponsor Leeds United Captain Robert Snodgrass. 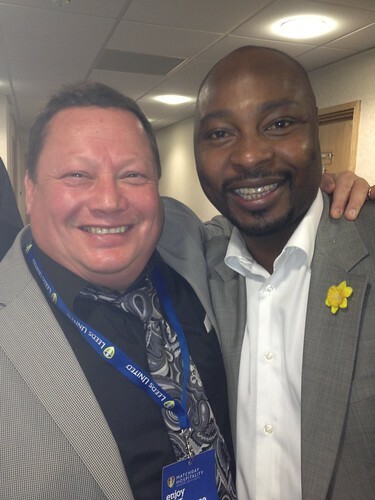 Tony Rhodes of Club Olympus recently enjoyed lunch with 'Snoddy' and had a great time with the Leeds hero who is also a Scottish International. 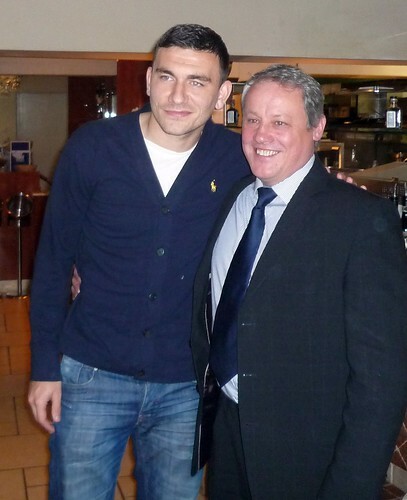 Pictured above is Robert Snodgrass (left) with Tony. Robert began his football career at Livingstone which he chose over being asked to go to Celtic. He joined Leeds in July 2008. The picture quality is a bit poor as the photo's were taken with a phone not a camera so please forgive the slight blurriness. 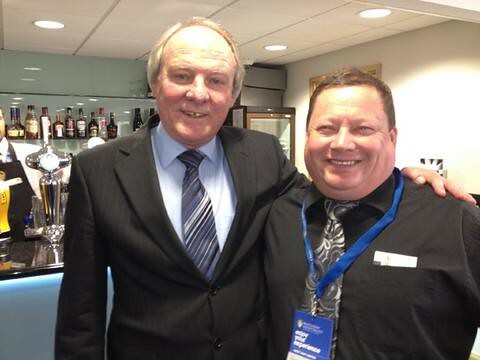 Terry Yorath was a Leeds and Wales legend. His career took him from Leeds to Coventry, then Spurs, Bradford and Swansea. Cardiff born Terry had 59 Caps for Wales, being Captain for 42 of them. 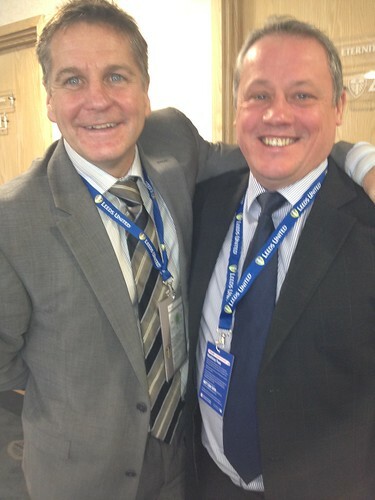 Here below is ex Leeds and Bradford player John Hendrie with Tony. John had a very succesful career playing at Coventry, Bradford City, Newcastle, Leeds, Middlesborough and then finally with Barnsley where he eventually became the manager. He is also a great guy. Above is Ivan of Club Olympus with Clyde Wijnhard. Although born in Suriname, Clyde is Dutch by nationality. 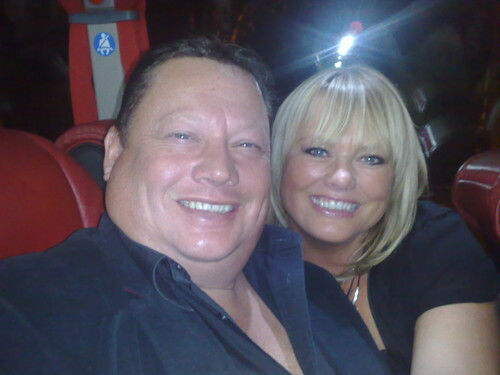 He played at Leeds, Huddersfield and Oldham. Clyde has been out to Club Olympus on holiday and will be returning soon to our resort in Tenerife. 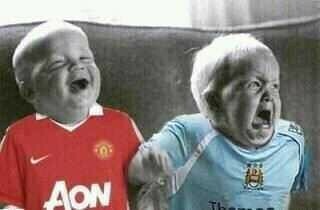 Talking about football, just before the Manchester United -V- Manchester City game on Monday 'somebody' sent us this photo. The reality is that after the game, the shirts should have been reversed!! Here below is a photo to make you smile. 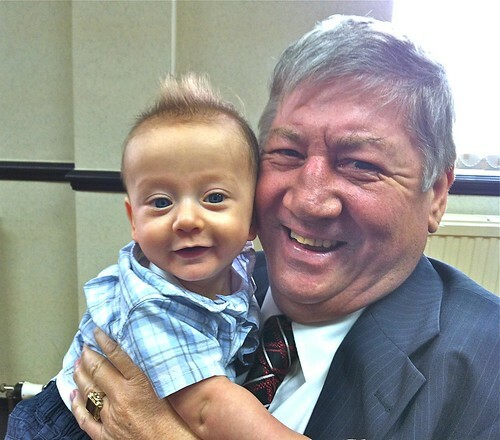 Pictured is Hedley Rhodes, Chairman of the Olympus Group of companies with his first Great-Grandchild Solomon! Little Solomon is the son of Antonia and Michael Stallard, Antonia is the daughter of Hedley's son Tony Rhodes. It looks like both of them could do with a haircut! 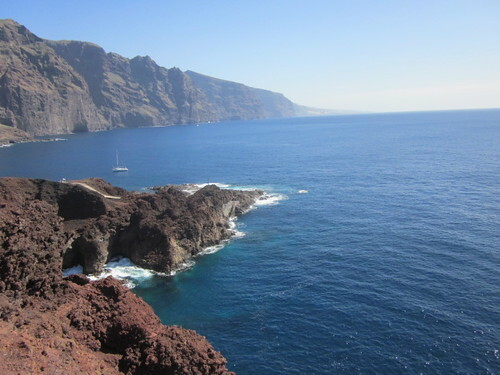 Hedley still remains active in the business from his base in the Isle Of Man but is still a frequent visitor to Tenerife and our UK office in Keighley. 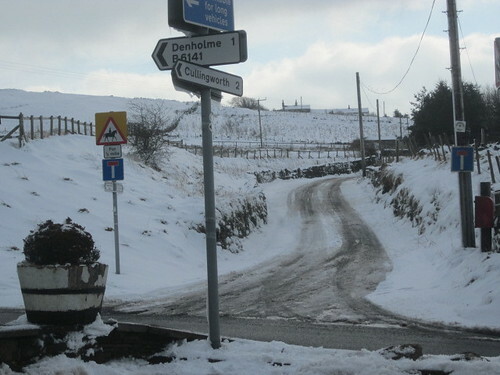 As you know, our UK office is based at Leeming Wells, Oxenhope near Keighley in West Yorkshire. Not only is Leeming Wells a delightful 'Boutique' hotel in the heart of Bronte Country but it is where our UK contact office is situated. Jodie is the one on the right in case there was any doubt.